"Landlords get rich in their sleep." We can help you buy investment property to build your wealth. “Landlords get rich in their sleep.” We can help you buy investment property to build your wealth. 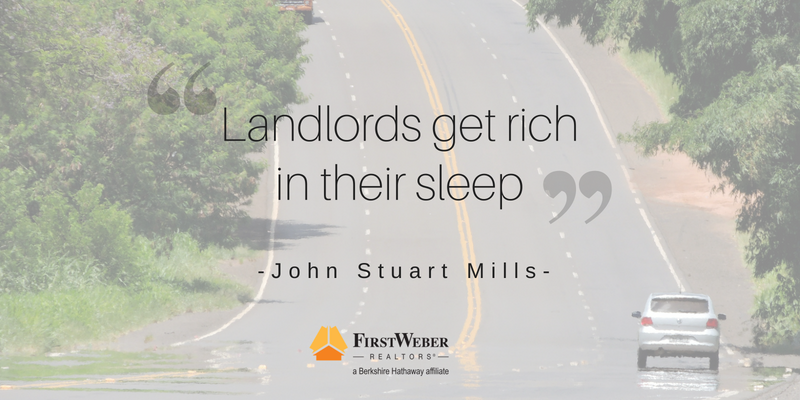 “Landlords get rich in their sleep.” We can help you buy an investment property to build your wealth. Be it a owner-occupied duplex, multi-unit apartment building or even a single family homes to rent out, we can help. Take a search of multi-family properties available at first weber.com today. There are more than 2,000 multi-family/residential income opportunities for you to look at! They range anywhere from almost $10,000,000 for a large apartment complex to less than $3,000 for a duplex. Contact a First Weber agent to view investment properties today.